Thing Commander is an automation company that is modernizing the industrial automation space by making the latest technologies easy to use and deploy. Our first solution utilizes computer video processing to detect events and make that data available to operators and other machines. This solution uses a camera to detect people, vehicles, and/or unsafe conditions. With over 30 years of experience creating solutions in the oil and gas industry, our mission is to make complicated automation technologies simple for everyone. CamThing™ is a Video as a Sensor solution that makes it easy to convert video into actionable data streams. Any camera capable of producing a digital image can be used. 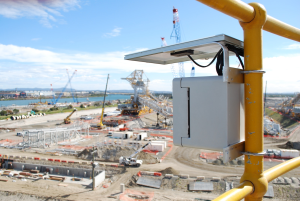 CamThing™ can easily be configured to detect Motion, Objects, Personnel, or Processes. Once a detection occurs, CamThing™ can trigger events such as changing an output state or writing a value to another controller. Values can also be read by other devices via Modbus. CamThing™ can be used standalone for simple actions, but it also works smoothly with other detectors and equipment. These are the additional features we are working on! Effortlessly implement sophisticated control scenarios. Email or print scheduled reports directly from CamThing™. Send detection notifications directly from CamThing™. Search all of your detection logs, across all of your devices, from our web portal. Access all of your CamThing™ functionality from your mobile device. We are committed to adding new capabilities all the time. Drop us a note, and tell us what you need! These are answers to some of the questions we get most often. Nope! Detections are done locally, and do not require network access. How is this different than product X? 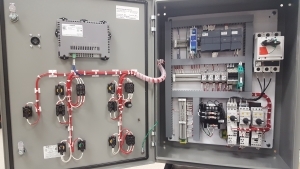 Our system is designed to solve problems in the Industrial world, while most solutions today are designed for commercial and residential applications. Do you save all of my video files? This is configurable. Video can be stored up to the limits of available memory. By default, nothing is transmitted to the cloud, all detection happens locally, and only detection logs and 'evidence images' are stored. We are working hard to ensure that this product meets the needs of users in Industrial environments. While we don't currently recommend that you use this product to replace existing sensors - it does currently serve as a solid backup sensor, with new capabilities. These are just some of the groups we are currently working with. Are you interested in partnering with us for a trial deployment at your location? Are you looking for a specific use case? Then this is the form for you!